We have a spacious and fully equipped garage at our Fleet HQ. All work is carried out by fully qualified staff. Coachbuilding service. Built to order. Contact us with any enquiries. 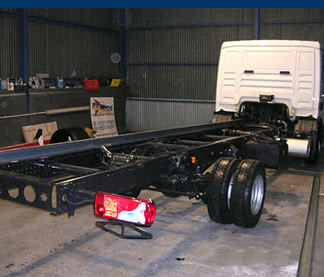 Minor damages and repairs to commercial and non-commercial vehicles. 6 weekly safety checks and full servicing offered.